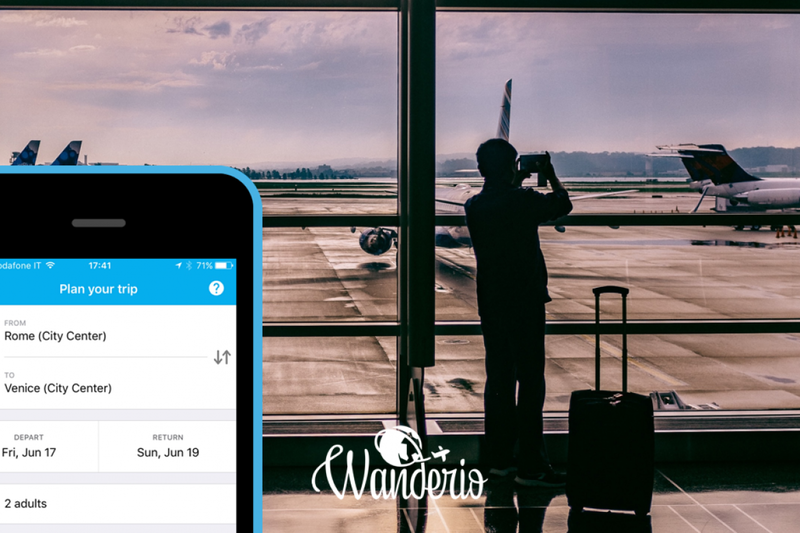 Wanderio aims to be your ultimate travel app. You can compare and book flights, trains, buses and airport connections in a single app: you won’t need to check many different apps or websites to compare schedule and prices offered by airlines, rail and bus companies to get your travel tickets. Thanks to Wanderio you can save time and money by comparing in a clear way the available alternatives to get to your destination and by booking via a fast and simple process your tickets. You can save your passengers details to make your next bookings even faster and collect your tickets in the mobile app (no need to check your email when you are getting on the train to find your assigned seat anymore!). An example? If you want to travel from Rome to Venice, you can compare all the available trains, as well as flights and buses on Wanderio. Whether you prefer to travel with comfort on the train or a fast domestica flight, you can find schedule and prices directly on Wanderio, choose the solution that suits you best and book your tickets seamlessly. 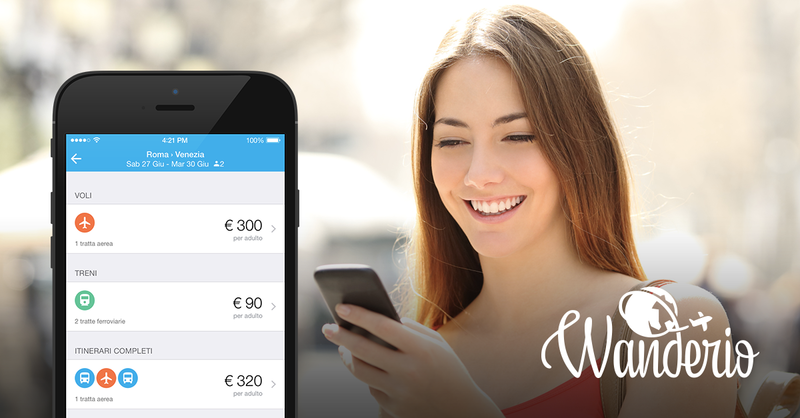 With Wanderio you can book train tickets in Italy, bus tickets to more than 40.000 destinations in Europe and international flights. The service coverage is in continuous expansion to new European countries. 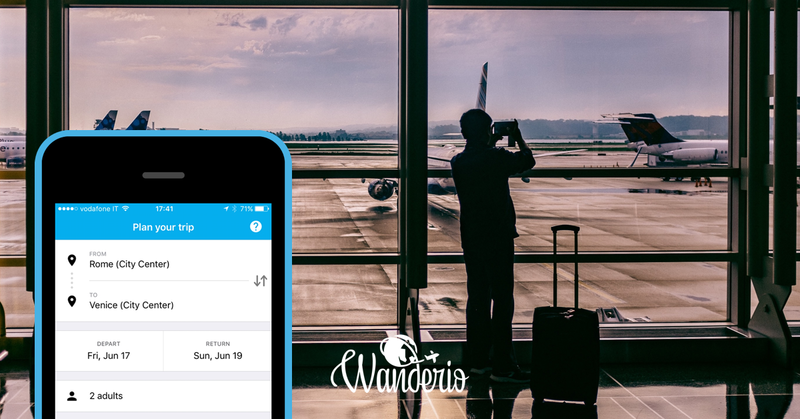 You can plan your trip on wanderio.com or download the iOS app.